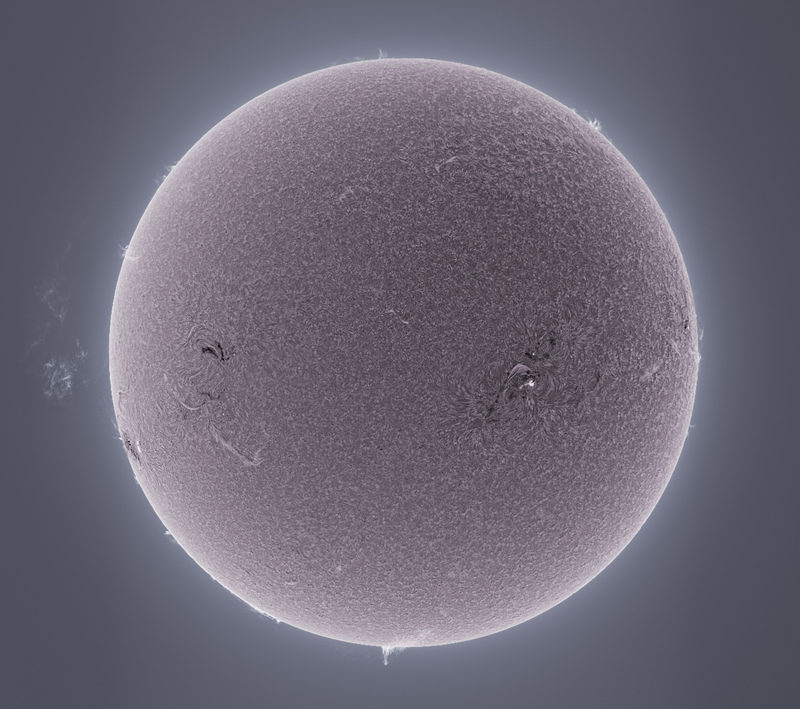 High five on the fifth of May... a grand new active region rotating into view, a massive prominence unleashed and blown away by the solar wind, handsome sunspot 1471, some wonderful filaments arching across the chromosphere... and clear skies to enjoy all of the above. A fantastic day to observe the sun. Here is moon colored version. A close-up view in white light of active region 1476, seen rotating into view at the left limb.